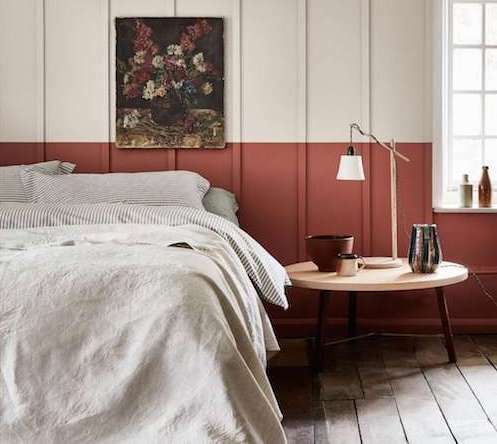 6 Paint Colours To Brighten Your Home This Summer! 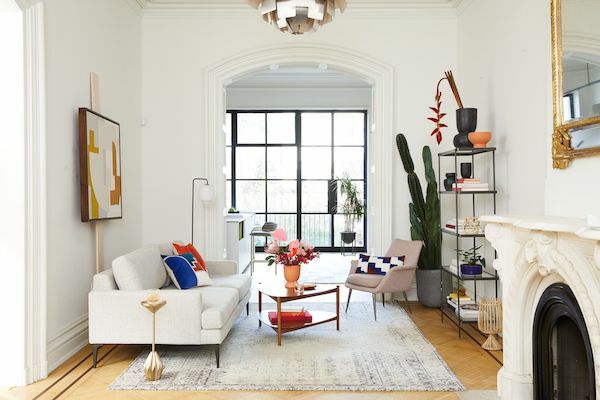 Brighten any room in your home just in time for Summer with these 6 paint colours selected by Milray Park Designer Rory Carter. Summer in Australia is all about enjoying the warm weather on offer. 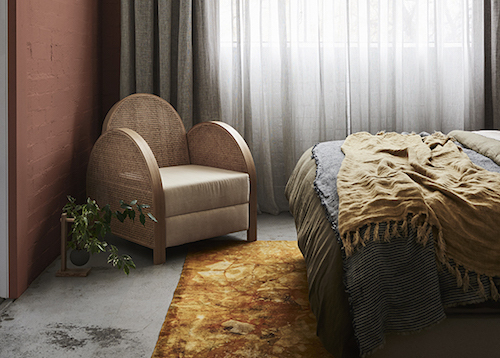 A colour that exudes that feeling of warmth is terracotta, a hue once reserved for floor tiles and plant pots. 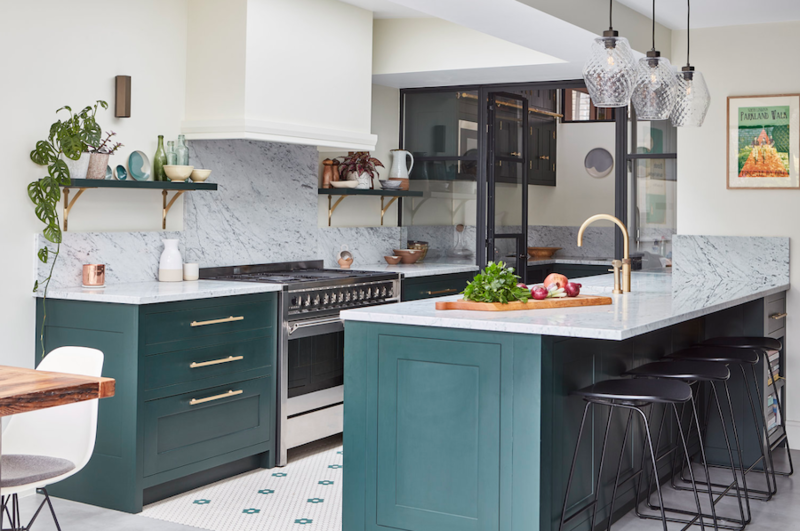 With an increasing push towards using colour in the home, terracotta is a rich option for those looking for a colour with loads of personality. Terracotta can be used in both small and large doses to create the effect you’re looking for, from simply painting your front door to transforming an entire room. As seen below, painting only part of your wall is both effective in creating a focal point and keeping things clean and contemporary. In a bedroom, this idea is a great alternative to a bedhead and creates a calming feature wall that will make your furniture pop. 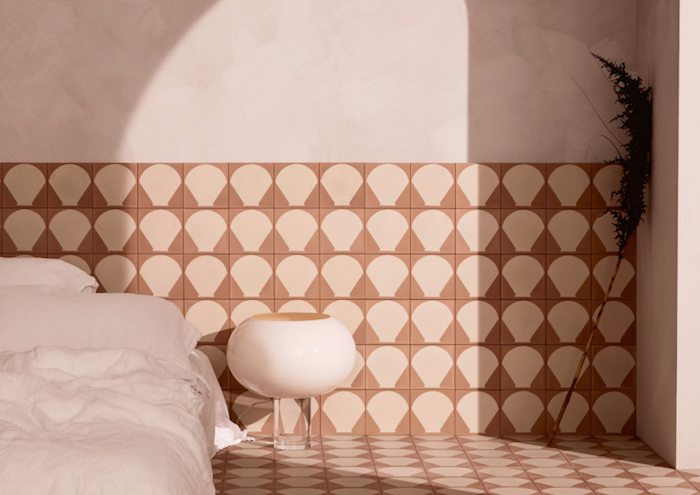 Terracotta’s inherently earthy tone means that pairing it with other natural colours and textures ensures a winning space. 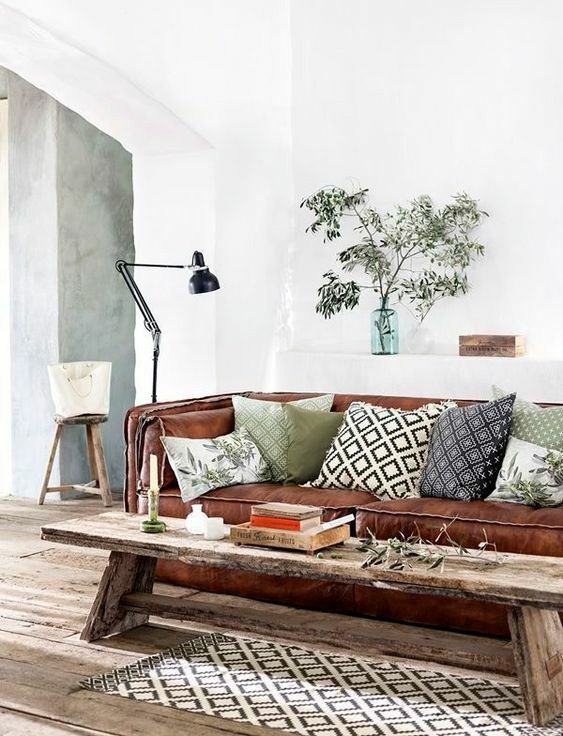 I suggest complementing it with other colours such as mustard, sage and grey; while timber textures, rattan and crushed linen help to accentuate the moody bohemian atmosphere. 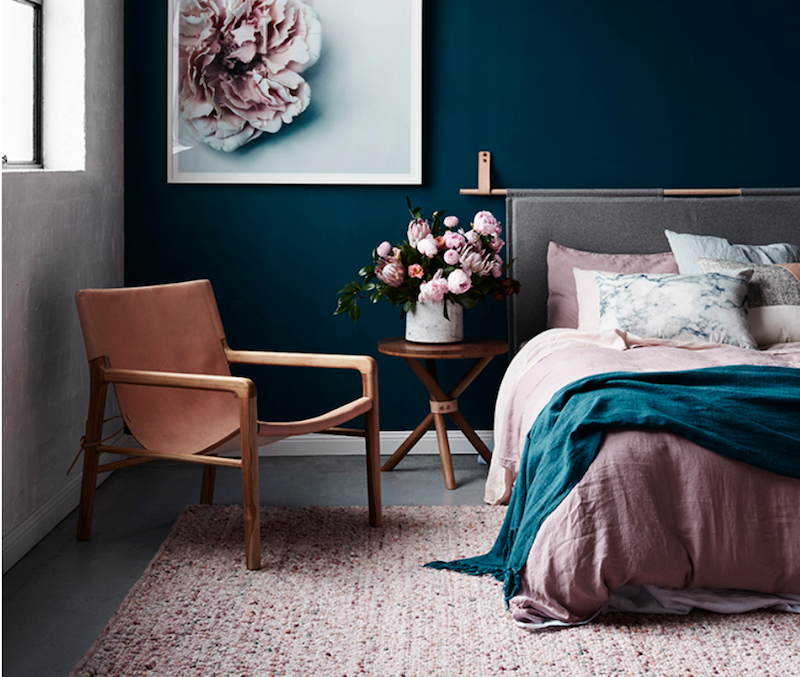 Pale or ‘millennial’ pink has been on the radar for some time now, dominating both fashion and interiors. Alas, the soft shade remains one of my favourite colours for summer decorating. 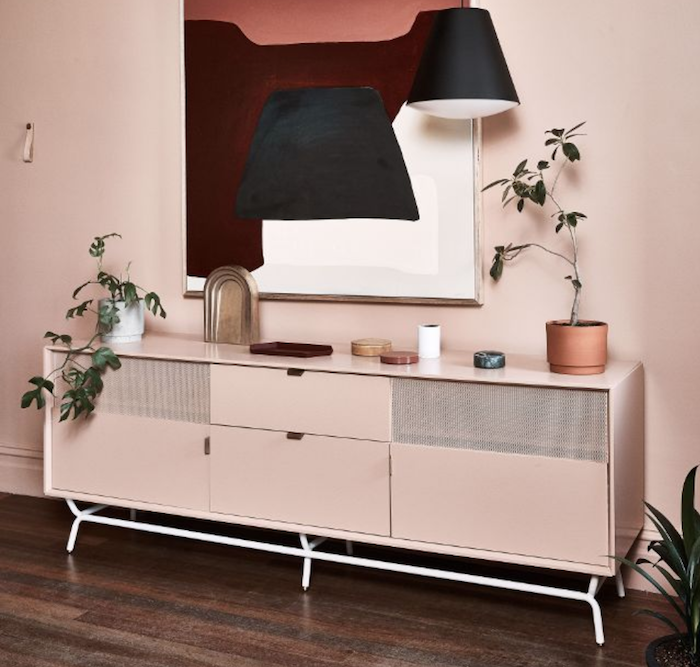 There are no limitations on style when it comes to pale pink, as it works just as well in a sleek, Scandinavian interior as it does in a rustic shack by the sea. It’s all about taking the time to find the shade that will complement your space the best. A neutral pink that doesn’t lean too much towards peach on the warm end and lavender on the cool is the perfect place to start. It will provide a simple and beautiful backdrop that’s easy to pair furniture with. There’s room to be bold here, even extending to the kitchen and bathroom. A quick scroll through Pinterest will reveal some incredible ways pale pink has been incorporated in these spaces. For extra visual interest, a limewash paint will give you subtle variations in colour and exudes a laid back summer aesthetic. Images courtesy of Sarah Ellison. Photography by Dave Wheeler. It’s entirely possible to create an inviting home using only a variety of grey shades. A neutral option doesn’t have to be a safe or plain one, though. 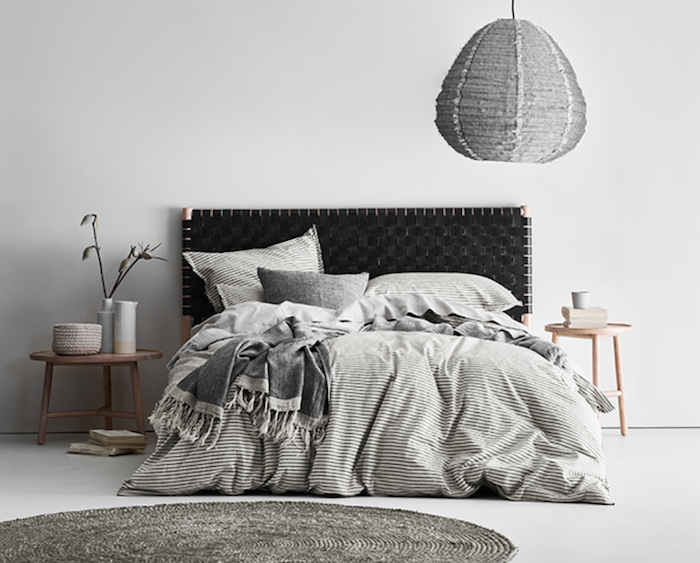 From bright and fresh, to deep and cosy shades, there’s an abundance of grey options to suit everyone. Cool greys can make a small space feel larger and reflect a contemporary feeling, while warm greys are a nice option for a calming bedroom. Layering varying grey tones through furnishings like cushions and throws is a simple way to create a neutral space that still feels considered and interesting. When it comes to painting, selecting a few samples and testing at home is key to know how each colour will look in varying light conditions. A shade will appear differently in a light-filled bedroom than it will in a dim media room. Somewhere in between blue and green, teal is an intriguing colour that radiates sophistication. Recently, with the rise in popularity of all things velvet, jewel tones have made their way into furniture and homewares. I, for one, have loved seeing people make more adventurous decisions when it comes to colour. Teal is fascinating to me, a mysterious colour that envelops a space and complements the textures within it. 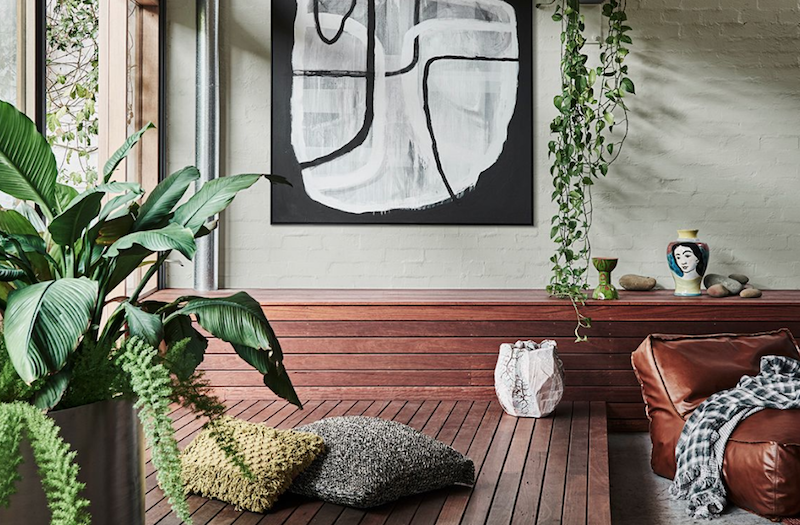 For summer, this colour reflects our Australian lifestyle superbly, with crashing waves and lush tropical plants springing to mind. It’s a colour that seems to reveal more character the deeper the shade. Ideal for kids rooms, living rooms and more, a lick of teal paint can even dress up tired kitchen cabinets or a vintage piece of furniture. Images courtesy of SJB. Photography by Felix Forest. Drawing inspiration from our incredible natural landscape, what could be more indicative of summer than eucalyptus? The soft green hue is timeless and suits both modern and classic homes. The grey undertones of eucalyptus make it a versatile neutral that’s easily matched with a variety of colours and textures. Eucalyptus makes for the perfect tranquil nursery that will grow with the child over time. You can easily introduce other colours such as grey, pink or blue in soft tones, while timber and natural textures like leather and wicker work nicely. If things are looking a bit washed out, a coat of crisp white on the window trims and skirting boards will add some much needed punch. As well as that, incorporating black elements provides focal points and breaks up the light tones. 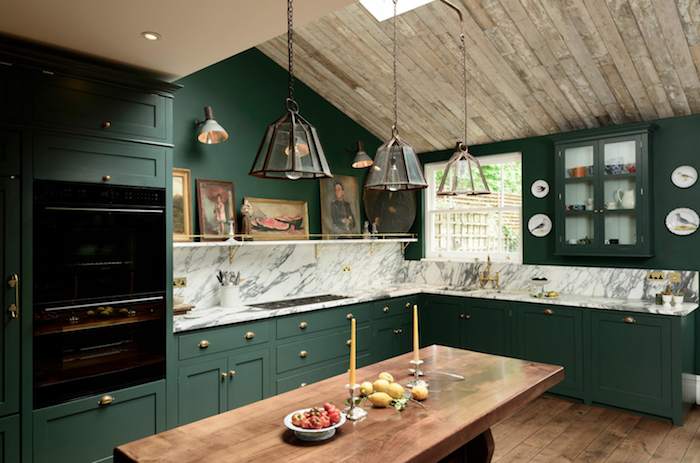 Hunter green is another colour that has benefited from a recent surge in popularity. I imagine it to be used this summer in conjunction with rich, earthy textures for a casual vibe that’s both airy and comfortable. Sometimes a darker colour can help to accentuate architectural features in a room or to draw people in to a space. 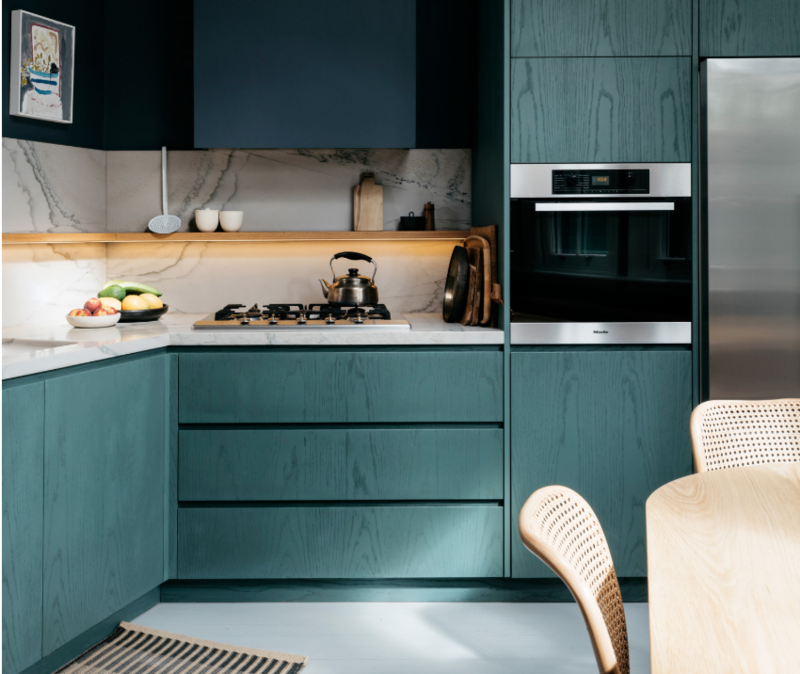 When chosen in a room with natural light, hunter green will constantly shift to reveal a range of highlights and shadows. 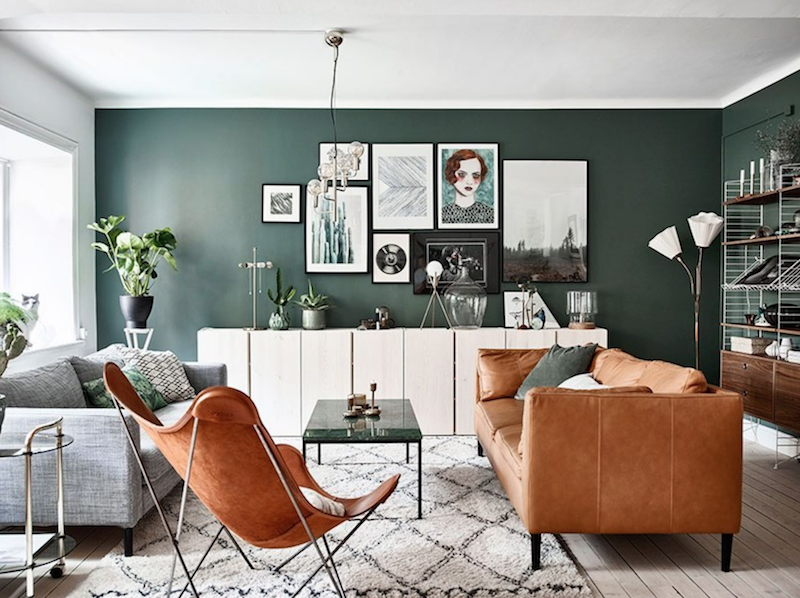 The best way to complement this colour is to select furniture and objects that feature a variety of light and dark tones. 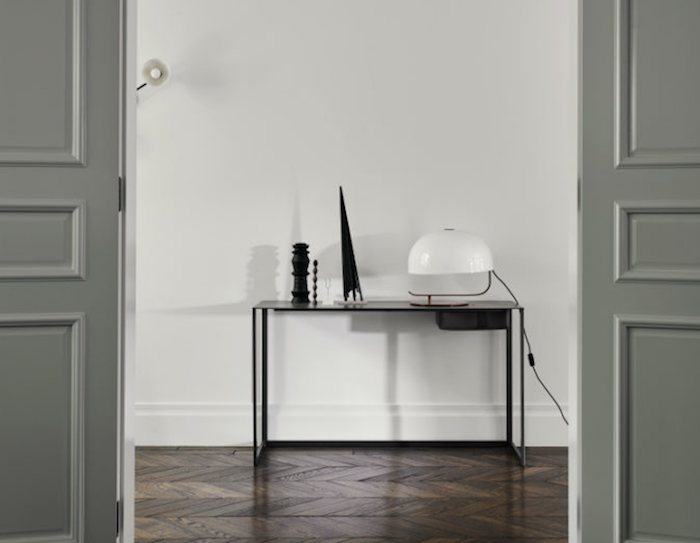 For example, fresh white art frames can balance the black metal legs of a coffee table. Opt for timeless textures with character such as walnut timber, leather and aged brass to finish the space off. Need some extra help tackling your Summer home makeover? Milray Park gives all Australians access to personalised interior design service online for one simple flat-fee price from $299/room. Learn How it works and Get started on your design project today! 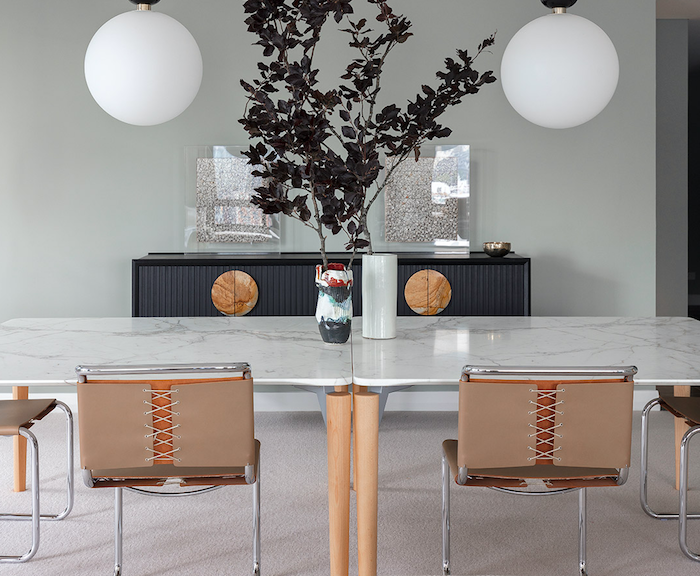 Keen to get Milray Park Designer Rory Carter to work his design magic on your space? Start your project today!